Positive TV for your Mind, Body, Spirit & Bank Account! 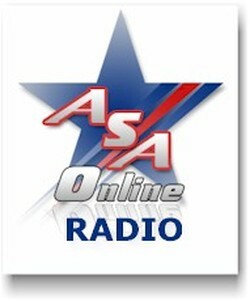 GET PAID FOR LISTENING TO ASA NETWORK RADIO! OVER 50 HOURS OF PROGRAMS CURRENTLY PLAYING ON ASA NETWORK TV! NOTE: An operator DOES NOT need to connect with your Live Chat for you to receive ASA TV viewing credits. NOTE: You MUST be an active ASA Online Member or Partner to be PAID for watching ASA TV. Watch at least 5 Hours of ASA TV EVERY month and earn $25 ASA Savings Bucks EVERY month! Make at least 5 Comments on the ASA FaceBook Fan Page and DOUBLE your ASA Savings Bucks to $50! Make at least 10 Comments on the ASA FaceBook Fan Page and TRIPLE your ASA Savings Bucks to $75! HOW TO GET PAID FOR WATCHING ASA NETWORK TV INSTRUCTIONS! "l am getting PAID to watch ASA TV, http://www.livestream.com/asanetwork "
2) Click on the LIVE Help Online Icon above before you start viewing ASA TV. 2A) Type in your Name in the Name Box. 2B) In the ASA ID Box type in your ASA ID. 2C) In the Question Box type or paste in the phrase "l am getting PAID to watch ASA TV ". 3) When you are done viewing ASA TV CLOSE the LIVE Chat window. 4) You Can ONLY earn a MAX of $25 ASA Savings Bucks a month without performing the steps below. That's It! 5) Now click the PLAY BUTTON above to start watching ASA TV! IN ADDITION TO THE STEPS ABOVE! "l am getting PAID Double Bucks to watch ASA TV, http://www.livestream.com/asanetwork "
3) Repeat steps 1-2 at least 5 times a month! 4) You will DOUBLE your ASA Savings Bucks for the month. MAX $50! That's It! "l am getting PAID Triple Bucks to watch ASA TV, http://www.livestream.com/asanetwork "
3) Repeat steps 1-2 at least 10 times a month! 4) You will TRIPLE your ASA Savings Bucks for the month. MAX $75! That's It! Can Watching ASA TV really get you ALL the things you desire? NO! BUT it can put you on the right path for these things by watching at least ONE hour a day of ASA Network TV! You may also record an MP3 or WAV audio and email it to ASA Support. I'm Getting hooked on ASA TV The training that is provided for us is off the charts! Earning while Learning What a concept! ASA is awesome. You do get to Earn while you Learn. continuing stream of good for personal growth food. The new ASA-TV is great. The Video with the L:O:V:E: Principle I really love it. Wowww!!! I watch ASA Network TV at least half day long - I just can't stop! and makes me grow each day.